Starting as a deckhand delivering cod and turbot from fishermen in Newfoundland and Labrador, over the past forty years, Glen McKay has molded his career into one that focuses on entrepreneurship and leading the growth of companies operating in a range of industries. 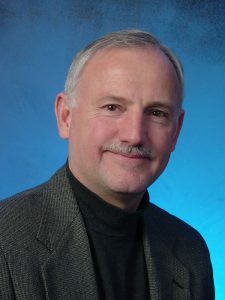 Having founded or co-founded several private companies and a public company, Glen currently serves as chair of the Board of Directors of Newfoundland Hard-Rok Inc., a business that he founded in 1985, which operates in the explosives industry. A look at how Glen founded Newfoundland Hard-Rok illustrates how important timing and taking advantage of opportunity when it presents itself is. In 1985, he was appointed as the distributor for DuPont Explosives in Newfoundland, which was one of the businesses operating under the Hard-Rok umbrella of MRO Supplies Ltd. Two years later, in 1987, Newfoundland Hard-Rok Inc. became its own entity after Glen sold part of it to Carl Foss and Keith Phelan who worked for MRO Supplies’ explosives division. With Foss and Phelan taking care of Newfoundland Hard-Rok’s operations and Glen looking after the daily finance and administration of the company, over the past roughly thirty years, Newfoundland Hard-Rok has become a leading explosives manufacturer and drilling blasting provider in the Newfoundland and Labrador area and on Baffin Island. But, leading Newfoundland Hard-Rok Inc. is not the only business leadership experience Glen has gained over the years; nor is the explosives industry the only industry he has worked in. In 1997, Glen co-founded Cornerstone Capital Resources Inc., a mineral exploration company that became recognized internationally for its technical and business acumen during McKay’s tenure as President, CEO and Vice Chair. Cornerstone continues to explore its Cascabel copper-gold discovery in Ecuador as well as other properties in Ecuador and Chile. Recently, Glen McKay spoke to Young Upstarts about how challenging the entrepreneur journey can be and offers some advice to those just getting started. From your experience, what advice would you give to young entrepreneurs just starting their first company? Glen McKay: Many people underestimate the complexities of establishing and operating a successful company. The entrepreneur may have a skill set or experience in a certain area of business. Many fail though by not recognizing that the financial, accounting and legal aspects of a business must be run effectively or else it is doomed to failure from the start. It’s easy to hire these services and these must be incorporated into the business plan from the start. I still use the same accounting firm that I engaged in 1985 and It’s made my life so much easier. Plus, its kept the business in conformity with changing regulatory and taxation requirements. With over 40 years business experience what are some lessons you feel have been vital to your success? Glen McKay: Motivation and determination are essential attributes of any successful entrepreneur. These are attributes that can be unlocked only from inside a person, not by external influences. A desire to learn and cultivating the ability to be insightful are necessary in assessing business opportunities. Most important are the people that you choose to be on your team. Hire people who have strengths to offset your weaknesses and empower them. Foster a team spirit working atmosphere and remunerate key staff above market. Going back to the very start of your working career, what skills did you learn as a deckhand in Newfoundland that helped you build up those companies you founded? Any qualities or lessons that you learned during that time? Glen McKay: Hard work and team spirit! Someone is quoted as saying “The hardier I work, the luckier I get”. Without hard work the best of opportunities can evaporate like a morning mist. My employer at that time and those up to the time I took my first business leap valued me in large part because of my work ethic and my ability to work as part of a team. In my own businesses I looked for self motivated, bright hard-working people who had the ability to be a part of a team. Having experience in a variety of industries, do you believe there is a formula for success regardless of what market company you lead deals in? It’s not the commodity you sell, the buildings you work from or the equipment you own. These are all part of business, but the MOST IMPORTANT asset is your people. Empower them and show that you value them, and they will increase the value of your business. What advice do you have for young entrepreneurs trying to pave their way through industries that are resistant to change? Lead by example! Many people and therefore many businesses are resistant to change. However, change is the only constant in a successful business. Never get comfortable with the status quo. Be alert to new technology and developing trends in your industry or in areas that could affect your business. Be proactive and be ready to change with them, if not before. Such leadership in my business must come from the chair that I sit in.